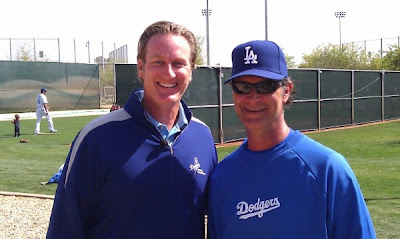 Steve Lyons hanging out with Don Mattingly, via twitter @SteveLyons12. MARCH MADNESS: Chris Capuano, Mike MacDougal, Matt Guerrier, Todd Coffey, Javy Guerra, Scott Elbert, Kenley Jansen, Stephen Fife, Will Savage, John Grabow, Matt Chico and Alberto Castillo threw live BP to Dodger hitters today on the third day of full-squad workouts at Camelback Ranch – Glendale. With the calendar flipping to March, the Dodgers’ Cactus League opener is just four days away with the club taking on the White Sox on Monday at Camelback Ranch. The club’s home opener is the following day, on March 6, with Los Angeles taking on the Giants at 1:05 p.m.
ON THE DIAL: Tonight, The Spring Training Baseball Show with Kevin Kennedy & David Vassegh debuts on the Dodgers’ new radio partner AM 570 Fox Sports L.A.. The show will air immediately following the UCLA-Washington State basketball game from approximately 10:30-11:30 p.m. PT and tomorrow night from 9:00-10:00 p.m., but the hour-long show will normally air six days a week (excluding Sunday) at 7:00 p.m.
#THEHAWK: The Dodgers would like to wish right-handed reliever Blake Hawksworth a very happy 29th birthday today. Hawksworth ranked fourth on the team last season with 49 appearances and 53.0 innings pitched as a reliever, going 2-5 with a 4.08 ERA and limiting opposing hitters to a .225 batting average in his first season with Los Angeles. Be sure to follow Blake and wish him a happy birthday on Twitter, @BlakeHawk425. GREEN BLUE EGGS WITH HAM: As a part of the 2012 Read Across America celebration, Dodger catcher A.J. Ellis and White Sox pitcher Addison Reed visited the Velma Teague Library in Glendale to read to local school children. 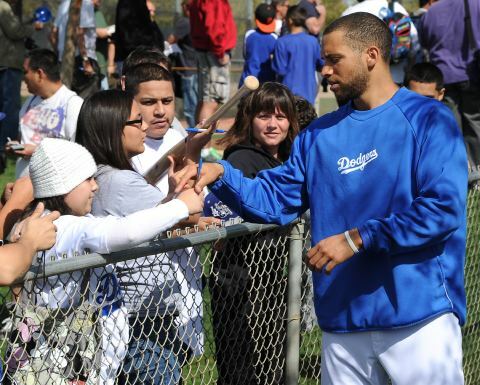 Ellis, who also participated in the event last year, is poised to take over as the Dodgers’ starting catcher in 2012 after batting .271 with two home runs and 11 RBI in 31 games with Los Angeles a year ago. Back in Los Angeles, members of the Dodger Alumni Association will visit 10 local schools this weekend to read to kids and speak to them about the importance of literacy. SAY CHEESE: The media flurry has started at Dodger Spring Training with ESPN, FOX and PRIME TICKET interviewing players on site today and the club’s annual Photo Day taking place tomorrow morning at Camelback Ranch – Glendale. This year, a bevy of entities will be taking part in Photo Day, including the Associated Press, Getty Images, Dodger radio partner AM 570 Fox Sports Radio L.A., MLB International, MLB Photos, Baseball Magazine Sha, Dodger broadcast partner KCAL 9, Topps and MLB.com. 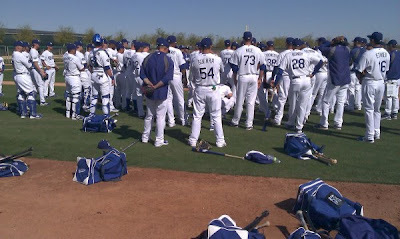 DREAM A LITTLE DREAM: Earlier today, the Dodgers held their annual open tryout at Camelback Ranch – Glendale with candidates competing for a minor contract. One of the 125 hopefuls was 22-year-old Francisco “Chico” Herrera, who has worked the past four seasons as a batboy in the Dodger clubhouse. Herrera, an infielder, has already made several highlight-reel catches at Dodger Stadium with his exploits as a ballboy being showcased on ESPN’s SportsCenter. 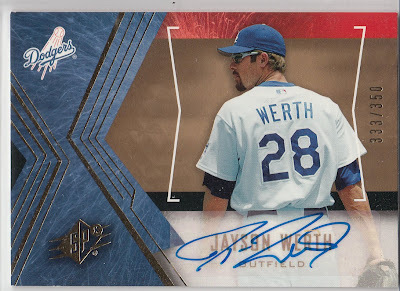 Beckett shared some preview images of 2012 Topps Heritage. See them here. 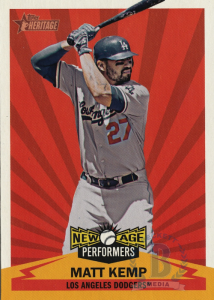 Above is a Matt Kemp "New Age Performers" insert card. Steve Lyons promises to be much more active on his new twitter account: @SteveLyons12. Brandon Lennox at True Blue LA ranks the top 200 Dodger prospects. Uribe was terrible last year, but much of it was done fighting through a sports hernia. This wasn't a good signing, but if he's healthy, it might not be so bad. Then again, there's still some downside in him as well, since he's only had one good, healthy season. Emma at CrzBlue's Dodger Blue World put together a great tribute to Dodger Stadiums 50th Anniversary. Ramona Shelburne at ESPN writes about Dodger bat boy Francisco "Chico" Herrera and his invitation to tryout for the Dodgers. Check out this great interview at Panini with Deion Sanders- video included. He reminisces that he often wonders what could've been if he had just stuck with Baseball only. I often think the same thing about him and Bo Jackson. Ryan at Chaos and Kanji provides a tour of Prince ChiChibu Memorial Stadium and Museum in Japan. Greg Aronowitz visited the 2012 New York Toy Fair. Check out his report. This is my 2005 Upper Deck SPx autographed card of Jason Werth. As many of you will recall, this former Phillies bomber hit 95 home runs in 4 years with Philadelphia, but didn't do jack with the Dodgers. Sure, there was always the promise of power, but it never truly developed. Then, a spate of injuries hammered Jason Werth. First, he broke his left wrist during Spring Training in 2005, but still played over 100 games that season. Then, as discomfort continued to plague him exploratory surgery was performed eight months after the initial break that discovered 2 ligament tears. It was repaired, but wouldn't be the end of his problems. Several more wrist related injuries followed that would eventually cause him to miss the entire 2006 season. At this point, it was obvious that his Dodger career would be over. 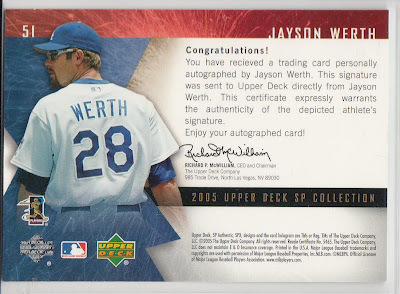 Werth became a free agent prior to the start of the 2007 season, and the Phillies came calling for his services. His time there would begin his amazing comeback from injury hell. It's a great testament to his will and perseverance that he could come back from such career lows to eventually be one of the more sought after free agents after the 2010 season. Here are this weekends autograph opportunities throughout the Southland. As always, be sure to check the Blue Heaven Calendar for other events, and always confirm with the establishment. Everything is subject to change. If you will happen to be in AZ for some Spring Training then be sure to head over to Camelback Ranch for their Spring Training Fan Fest on Saturday. It figures on being a fun morning. Go here for more information. 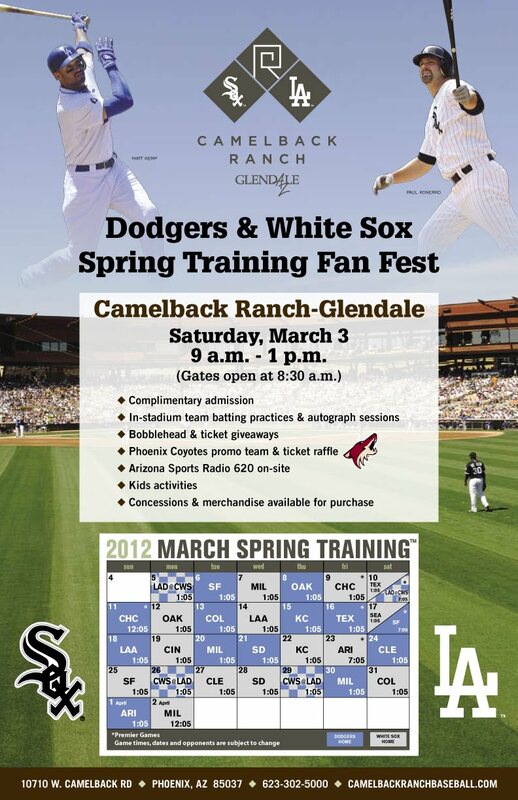 This will be a Dodgers/ White Sox event, and will provide four hours of free Baseball entertainment. It will start at 9:00 AM to 1:00 PM MT (gates open at 8:30 AM) and will feature in-stadium batting practice and autograph sessions for both teams. Player appearances have yet to be announced. 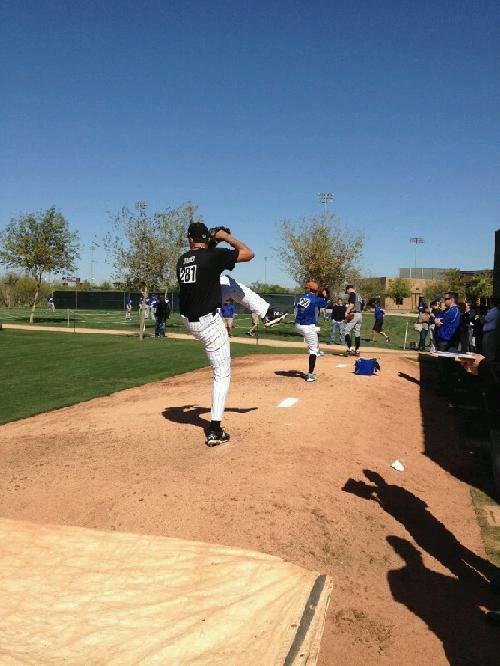 White Sox Batting Practice......................... 9:00-10:30 a.m.
White Sox Autograph Session................... 10:30-11:00 a.m.
Dodgers Autograph Session...................... 11:00-11:30 a.m.
Dodgers Batting Practice............................ 11:30-1:00 p.m.
Concourse activities will include the Free Agent Sports Marketing Sports Card and Memorabilia Show, speed pitch, fan photos, kids’ inflatables, a Phoenix Coyotes booth featuring Howler, a Glendale fire truck and a Cactus League book signing with Hall of Fame pitcher Gaylord Perry. 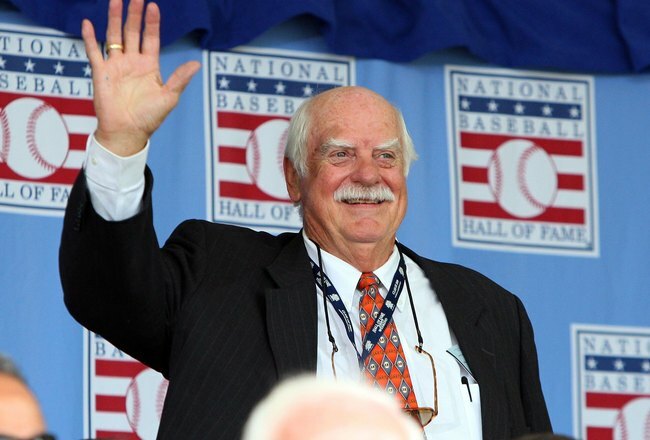 The Hall of Famer will sign purchased books Saturday for an extra $10 donation. Perry will sign from 9 a.m.-10 a.m.; author Susie Steckner will sign for free from 9 a.m.-1 p.m. The book, Cactus League: Spring Training (Arcadia Publishing, $21.99) features more than 200 photos that take readers on a historic journey from exhibition games in the early 1900s up to the modern day 15-team Cactus League. Promotional items will include bobbleheads (for the first 250 children, 12 and under), Coyotes ticket drawing for their March 3 game at neighboring Jobing.com Arena, Spring Training ticket raffles and other sponsored giveaways. 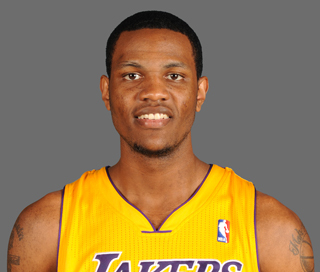 LA Laker forward Devin Ebanks will be signing autographs at MVP Trading Cards Company in Northridge on Saturday. Go here for details. He will be there from 2:00 PM to 3:30 PM. The price is $25.00 per autograph w/FREE autograph authentication. Also on Saturday, individual game tickets for Dodger Games go on sale, a special gala event is planned at Dodger Stadium for fans to celebrate it. Prices on advanced individual tickets for the 2012 season after Opening Day – Top Deck, Reserve, Loge, Field, Right and Left Field Pavilions – have been reduced as much as $20 per ticket. Dodger fans are invited to celebrate the start of the 2012 Season in parking Lots B and P and enjoy their first Dodger Dog of the year. The Dodgers’ annual On Sale festivities will include music, trivia and contests and will be hosted by KLAC. Additionally, fans that purchase at least one ticket at Dodger Stadium at the On Sale event will receive a Dodger gift. Additionally, prices on new 2012 Dodger merchandise have been reduced 20 to 50 percent from 2011 and new Dodger Stadium 50th anniversary items will be available for purchase starting next Saturday. All concessions for the On Sale event will be $3 or less. Gates will open at 8:00 a.m. and parking is in Lot 12. Fans will receive numbered wristbands and a starting lottery number will be randomly selected at 9:00 a.m. The fan with the selected number will have the first chance to purchase tickets and the remainder of fans will be served in numerical sequence.